Milford, NH – When the Florida International Bankers Association (FIBA) was looking to add a video conferencing room to their Miami headquarters, they turned to Casaplex to design and install the system. The room was to serve as a forum for video teleconferencing, local presentations, streamed trainings and recorded trainings. 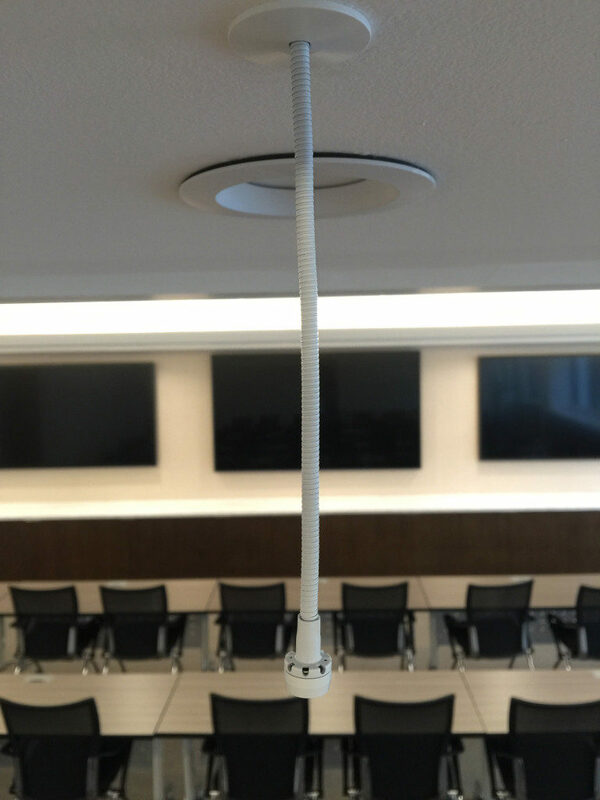 Among the chief requirements for the room was accurate intelligibility, in addition to an aesthetically pleasing microphone that was ceiling mounted. The two IM6-W microphones are directly connected to a DSP with VoIP capability, which can also be passed through a custom built local PC for transmission of audio to the far end of video conference calls. A wireless microphone and receiver combo coupled with an instructor headset mic are available for live and recorded trainings for local sound reinforcement. Also included in this system is an array of ceiling speakers powered by a 2 channel amplifier. For local voicelift two zones of audio are utilized so that the audience in the rear of the room (farthest away from the presenter) can hear the presenter clearly. The video system consists of several sources (wireless & hardwired connectivity and local PC) that feed into a Crestron DigitalMedia Matrix Switcher. Everything is routed out to 4K video scalers to produce the best image for all displays. There are three displays from Planar, one 98” flanked by two 84” displays, one of which is a touchscreen, which allows for interactive presentations.